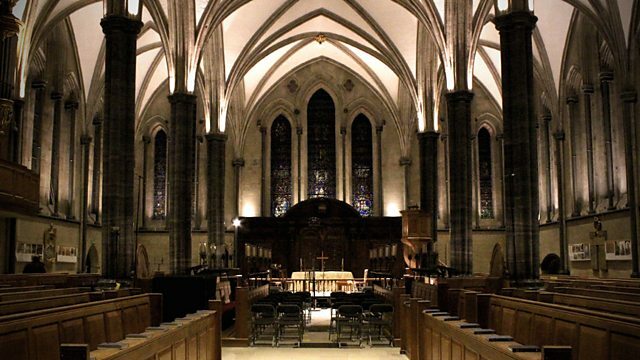 Live at the Temple Church, London, a concert by the church's choir and Catrin Finch (harp), for the Temple Winter Festival 2016. With Bernstein, Vaughan Williams, Britten, Walton. Temple Winter Festival 2016: The Temple Church Choir, with harpist Catrin Finch. The Temple Church Choir and the Temple Singers share the stage for a concert celebrating the 90th birthday of HM The Queen and the 400th anniversary of Shakespeare's death. Two iconic works of Benjamin Britten are featured, including a truly seasonal offering from the choristers and harpist Catrin Finch in the Ceremony of Carols. The two choirs join forces to perform Bernstein's Chichester Psalms. Performer: Catrin Finch. Performer: Rebecca McChrystal. Choir: Temple Church Choir. Director: Roger Sayer. Performer: Greg Morris. Choir: Temple Singers. Director: Roger Sayer. Singer: Amy Wood. Choir: Temple Singers. Conductor: Roger Sayer. J.S. Bach: Weihnachts-Oratorium (Christmas Oratorio). Liszt Christmas Tree - Via Crucis - Chorales / Leslie Howard. Performer: Catrin Finch. Choir: Temple Church Choir. Director: Roger Sayer. Choir: Temple Singers. Director: Roger Sayer. Choir: Temple Church Choir. Choir: Temple Singers. Director: Roger Sayer. Performer: Javier Perianes. Ensemble: Cuarteto Quiroga. Granados, Turina – Piano Quintets. Enjoy the very best in music, words, and ideas this festive season.